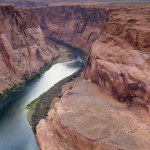 The report outlines achievable, common sense solutions that will help protect the 1,450-mile Colorado River for outdoor recreation, wildlife, and water supply for people and agriculture for generations to come. The current drought makes prioritizing, funding, and implementing the solutions in the report even more urgent. 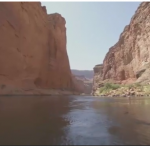 American Rivers and American Whitewater called on the Bureau and Colorado River water users to expand their current efforts to preserve the health of the river and basin communities. The pressing need to expand the use of innovative water management technologies, stewardship practices, and incentives for agriculture and urban areas to save water. Spanning seven states, the Colorado River is the lifeblood of the American West, providing drinking water for 36 million people, irrigating fifteen percent of the nation’s crops, and generating a $26 billion recreation and tourism economy that provides 234,000 jobs. 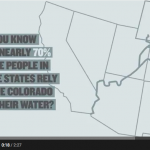 Yet a water supply and demand gap exists due to a history of unsustainable water consumption and the effects of a 14-year drought that is dramatically lowering supply. There is also increasing pressure to meet the needs of expected growth in communities that depend on the river. “The need for real action has never been more obvious. 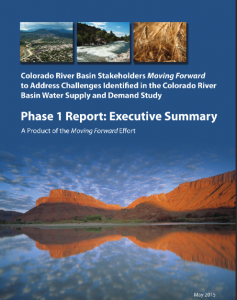 The Bureau of Reclamation’s “Moving Forward” report offers realistic, actionable solutions to protect the Colorado River. 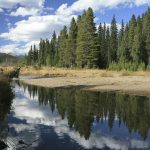 But it is time to stop talking and instead start funding and implementing these solutions,” said Matt Rice, director of Colorado Basin Programs for American Rivers.